Pankratov, E., Bulaeva, E. (2014). Modeling of Manufacturing of Field-Effect Heterotransistors without P-n-junctions to Optimize Decreasing their Dimensions. International Journal of Nanoscience and Nanotechnology, 10(4), 223-236. E.L. Pankratov; E.A. Bulaeva. "Modeling of Manufacturing of Field-Effect Heterotransistors without P-n-junctions to Optimize Decreasing their Dimensions". 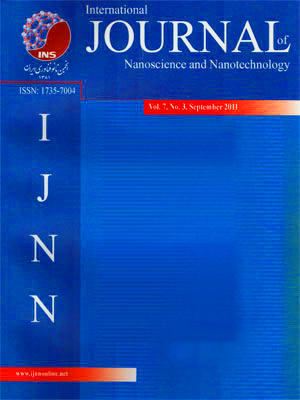 International Journal of Nanoscience and Nanotechnology, 10, 4, 2014, 223-236. Pankratov, E., Bulaeva, E. (2014). 'Modeling of Manufacturing of Field-Effect Heterotransistors without P-n-junctions to Optimize Decreasing their Dimensions', International Journal of Nanoscience and Nanotechnology, 10(4), pp. 223-236. Pankratov, E., Bulaeva, E. Modeling of Manufacturing of Field-Effect Heterotransistors without P-n-junctions to Optimize Decreasing their Dimensions. International Journal of Nanoscience and Nanotechnology, 2014; 10(4): 223-236. It has been recently shown that manufacturing p-n-junctions, field-effect and bipolar transistors, thyristors in a multilayer structure by diffusion or ion implantation with the optimization of dopant and/or radiation defects leads to increase the sharpness of p-n-junctions (both single p-n-junctions and p-n-junctions framework their system). Due to the optimization, one can also obtain increasing of homogeneity of dopant in doped area. In this paper, we consider manufacturing of a field-effect heterotransistor without p-njunction. Framework the approach of manufacturing, we consider a heterostructure with specific configuration, doping required parts of the heterostructure by dopant diffusion or by ion implantation and optimization of annealing of dopant and/or radiation defects. The optimization gives us possibility to decrease dimensions of field-effect transistors. We introduce an analytical approach to model technological processes without crosslinking concentrations of dopant and radiation defects on interfaces between layers of heterostructure.